As manufacturing technology improves, the gap between what is art and what is a wallcovering narrows. To challenge pre-existing design conventions, artists have begun painting outside the lines to reflect their inspiration onto the walls, and what a difference it makes. As we prepare for London Design Festival, there seems to be a strong focus on bespoke structured – and colourful – wallcoverings. 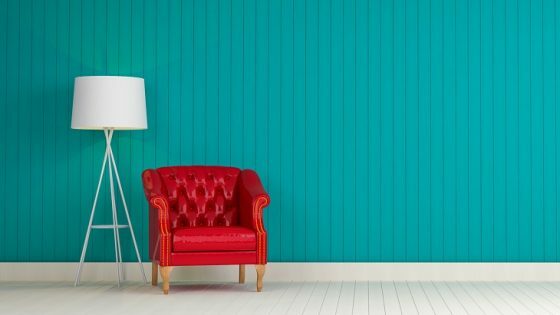 One company that seems to be owning this space is Colourgen, which will launch what it calls a ‘unique 3D technology for the production of bespoke, structured wallpaper’ at 100% Design. 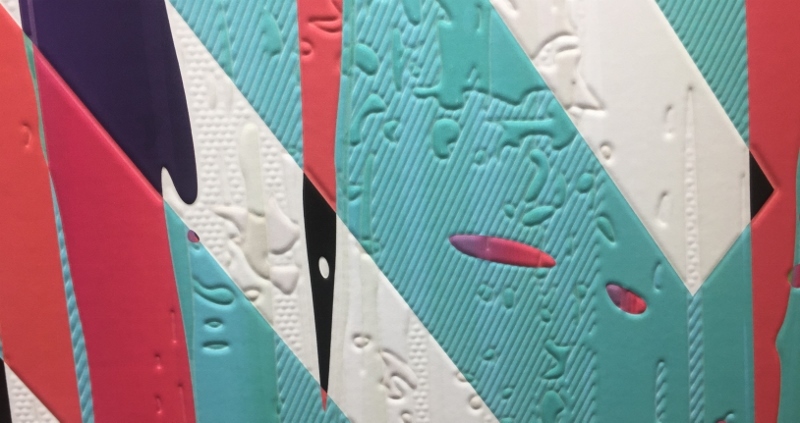 Until now, designers needed to source specialist, pre-textured media to create 3D style effects on wallpaper or go through a complex printing process to create the effect using standard printers. These methods add cost and time to a project and limit the designer in terms of what they can do creatively. The Dimense printer from Colourgen simultaneously prints and creates the structure of the wallpaper in one pass and is ready to hang immediately, technology that simply hasn’t existed until now. With Dimense, the designer has 100 per cent flexibility to create the bespoke wall covering effects they desire. Dimense offers output that won’t fade in direct light, can be cleaned without scratching or damage and is C1 fire rated, making it perfect for high traffic areas such as hotels, retail and corporate environments. It can print at speeds of up to 20sqm/hour with a print width of 1.6m. Dimense is an environmentally friendly technology based on latex eco-friendly inks and PVC-free structure-forming Ecodeco media. Artists are, too, seeing the walls of the public areas as a blank canvas for creativity. In addition to curating powerful art, the experts at Kalisher, led by David Winton and Helen Kalisher, use in-house state-of-the-art technology to create and print exceptionally designed wallcoverings, suited to each client and each hotel. The talented team and experience is unmatched in the industry and is the key to both creating and curating a comprehensive art collection that will inspire guests while working seamlessly with the interior design and architecture. Kalisher’s EMEA team create, curate, and commission meaningful art packages for international properties. Recently completed and in progress projects include: Hotel Scribe Paris Opera by Sofitel, InterCon Sofia, Hard Rock Davos, Address Fashion Avenue Dubai, Sheraton Miramar Resort El Gouna and a 5* resort in Qatar. As quoted on the company’s website, “the end result is a stunning visual enhancement of the properties, encompassing work from our own Kalisher studio artists, along with commissioned pieces from locally-recognised artists around the globe.” Example work in its portfolio, such as the walls at the W Las Vegas, strongly suggest that Kalisher believes that art as we know and love it today does not have to be restricted to a frame. With creating a sense of place being one of the most – if not the most – important roles of a hotel lobby, the appropriate use of art is synonymous in the overall design of the hotel lobby. One British artist, Beth Nicholas, was commissioned by the Address Downtime hotel in Dubai with the brief to revitalise the hotel lobby. Nicholas answer was a series of 8.5-metre which are now the centrepiece of the newly-refurbished 63-storey Address Downtown hotel in Dubai. “I’ve never had a commission that was 8.5 metres,” said Nicholas in a recent interview with myself. 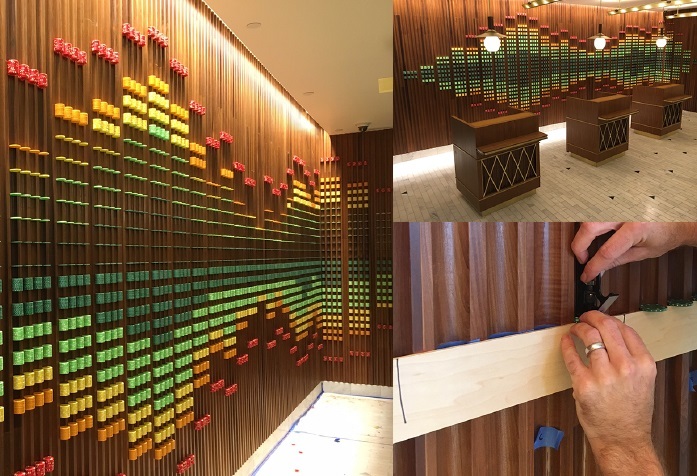 “Soho Myriad, the art consultants for the project, like to challenge their artists, but I don’t think they have ever commissioned anything on this scale before.” Beth, who believes that her work is best suited in public spaces like the hotel lobby, agrees that she has seen a big shift in the aesthetic of the hotel lobby. “They have changed massively. Hotel lobbies were always places people moved through and left, whereas now what we have is a multi-usable space,” she said. “And that is really fascinating as it’s obvious that hotel designers have realised that people need places to congregate. 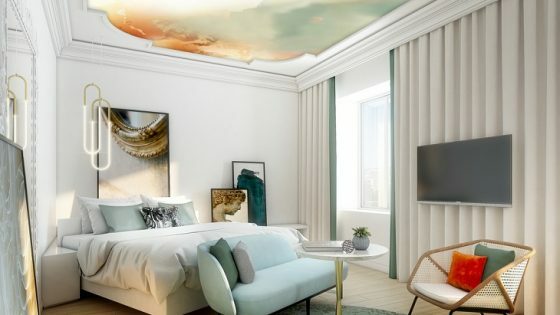 As the two markets – art and wallcoverings – tie closer together, it seems as if the possibilities for hotel design in the lobby are written on the walls – and if the above image is anything to go by, those walls are almost endless. 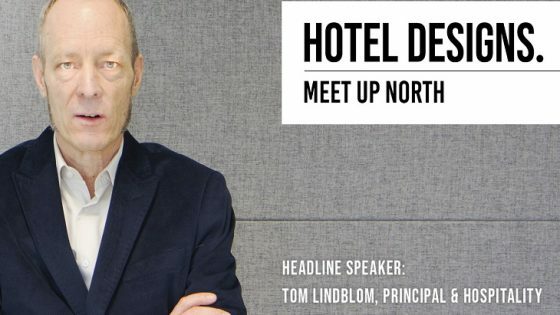 Hotel Designs will be live from London next week at London Design Festival to further investigate key trends and discussions circling international hotel design today.